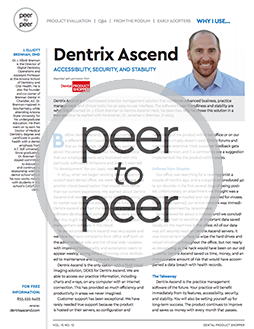 Dentrix Ascend helps us to link all of our offices together. We can see what’s going on in every office. It really has set us apart from everybody else. Watch how La Jolla Family Dentistry stays on the forefront of technology with Dentrix Ascend. 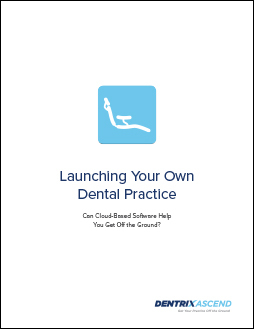 See what running your practice in the cloud might look like. 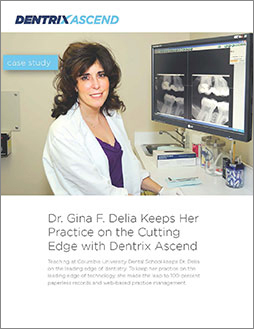 Teaching at Columbia University Dental School keeps Dr. Delia on the leading edge of dentistry. 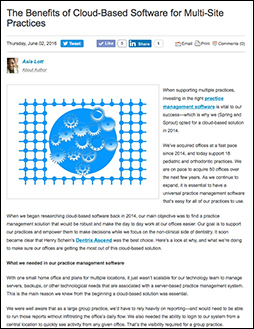 To keep her practice on the leading edge of technology, she made the leap to web-based practice management. You’ve made the bold choice to start your own dental practice. Now what? More choices of course—including how much to spend on your building, furnishings, equipment, supplies, software and more. 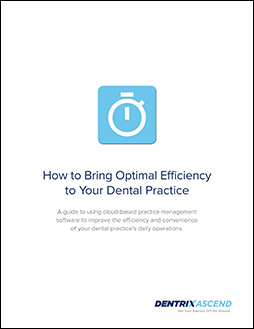 A guide to using cloud-based practice management software to improve the efficiency and convenience of your dental practice’s daily operations. 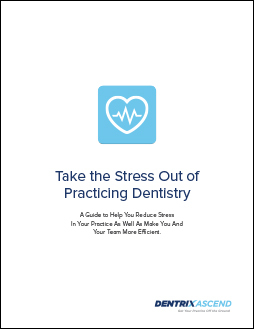 A guide to help you reduce stress in your practice as well as make you and your team more efficient. 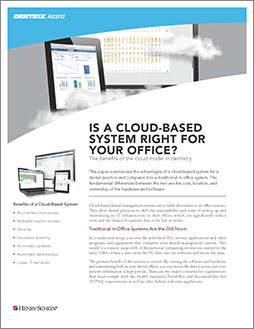 Is a Cloud-Based System Right for Your Office? If you’re spending too much time tinkering with your technology, it might be time to experience the freedom of cloud computing. Get the details in this white paper. It compares cloud computing to traditional computing. You’ve got enough to worry about, running your practice and keeping your patients happy. Don’t worry about whether your server is reliable. 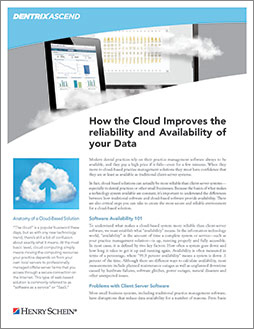 Let cloud computing ensure your data is always available. Put your mind at ease today. Download our free white paper. 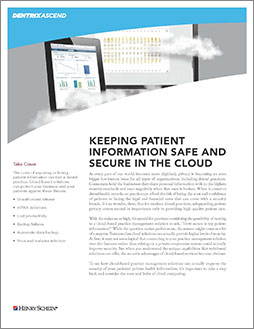 To see how cloud-based practice management solutions can actually improve the security of your patients’ private health information, it’s important to take a step back and consider the nuts and bolts of cloud computing. You want the benefits of cloud computing. You’re just not sure what’s involved in moving to the cloud. Or, where to begin. Find out where to begin and what your next steps should be. 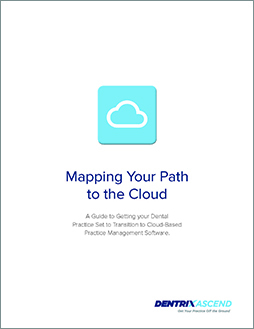 Use our cloud readiness guide to prepare your practice for the future today. 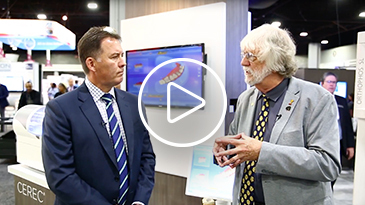 John Cox, VP of Technology, Henry Schein Dental, discusses the Henry Schein ConnectDental platform and the role dental software plays in centralizing all operations within the practice. 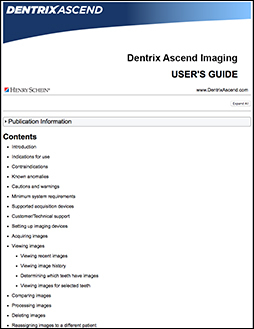 See the imaging hardware that is supported by Dentrix Ascend Imaging. 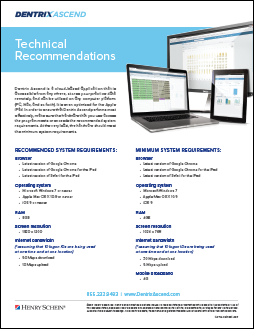 In order to ensure that the program performs optimally, we recommend that Dentrix Ascend practices use these technical recommendations.